FlexAttack manufactures and provides Aerial Delivery Support Systems (ADSS) and components for PCADS or any other CDS or AD system. 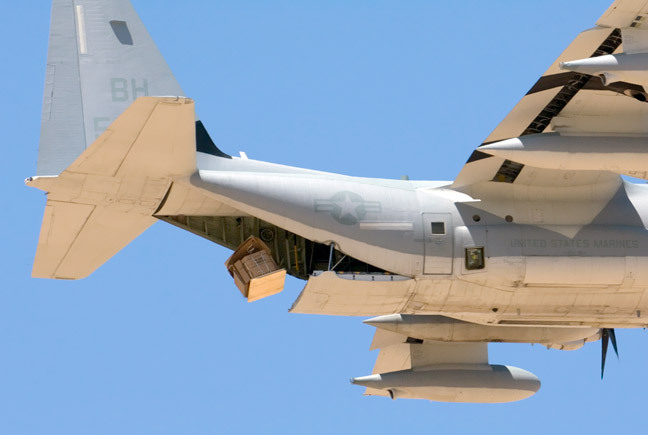 FlexAttack has developed and worked directly with US Military Aerial Delivery Experts for over 10 years developing new ways to deliver solutions via Aerial Delivery. Saving time, money and lives. 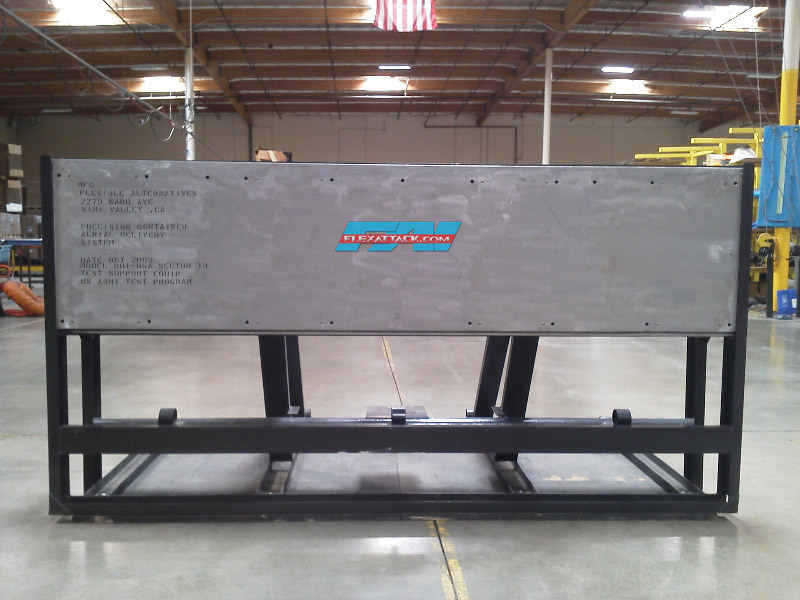 Dunnage – Honeycomb – Mil Spec Specific – Pre-Fab Dunnage – per customer needs. Rigging – All the various types of webbing and nylon tublar required for proper rigging set-ups. 80 lb, 550 cord, 1/2 Nylon, 3/4 Nylon, Kevlar Line, Type XXVI and heavy grade webbing – all multi-color and Mil Spec Approved. We manufacture our own style of cut knives, these cut knives are the sharpest, most reliable cutters on the market today. Very cost effective compared to the JPADS knife. 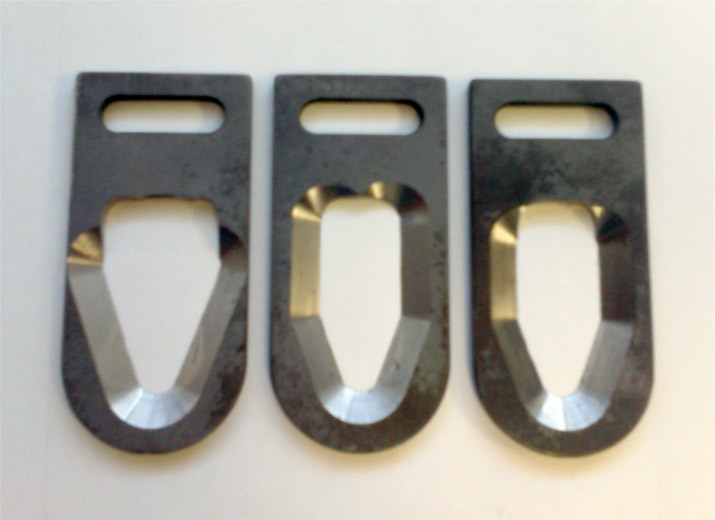 Mild Steel Construction, Heat Tempered, CNC edge. 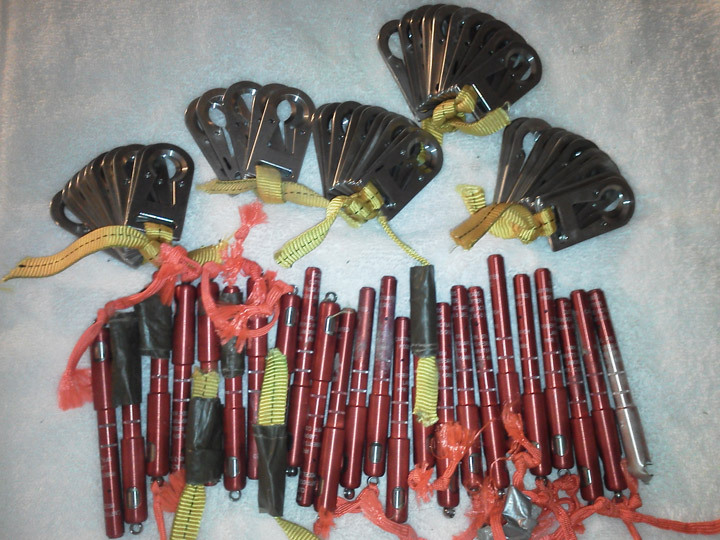 Various Styles of Pyrotechnic Cutters ranging from 1 second to 90 second. Various styles and configurations are available, all dependent on what your application needs are. Single Line to Multi-line are available. Parachutes – FlexAttack can provide standard G-10& 11 Parachutes along with LCAD Systems. Custom Parachutes can easily be fabricated by one of our partner companies. Wireless Gate by Wamore – we support and encourage our customers to use new technology which allows for more precise load releases by using the Wireless Gate Systems by Wamore. We can provide complete turn key solutions with aircraft such as the workhorse C-130 Hercules, C-17 Globemaster, Bell-Boeing V-22 and other airframes such as the IL78/76, CN-295 & C-123. Our sister company, Fire Suppression International provides turn-key Aerial Delivery Services that can operate multiple C-130’s Internationally, provide crews, loadmasters, PCADS and support staff anytime, anywhere for short or long term contracts.